The beer industry in Kentucky is growing because of successful companies such as West Sixth Brewing of Lexington. The company offers a variety of craft beers as well as a taproom, restaurant and facility tour. entucky built its distilled beverage industry on bourbon and other aged whiskeys, but anymore, the Bluegrass State can claim a growing interest in other spirits, wine and beer. In addition to the much-heralded craft brewery movement and a growing wine industry, the state recently experienced a surge in distillers — large and small — producing a variety of non-bourbon liquors including vodka, rum, brandy and even legal moonshine. Even as bourbon and rye whiskey ages in barrels at Wilderness Trail Distillery in Danville, the distillery is already making a name for itself with its Blüe Heron Vodka and Harvest Rum. In November 2015, Wilderness Trail was named Kentucky Rum Distillery of the Year at the 2015 New York International Spirits Competition; its Harvest Rum was awarded a Silver Medal. According to Wilderness Trail co-founder Pat Heist, locally sourced ingredients are a secret to their success. Distilled Spirits Epicenter is an educational, training and research resource for the spirits industry. Founded in 2013 by David Dafoe, mastermind behind Flavorman, a Louisville-based, commercial beverage development company, the Epicenter is the exclusive education provider of the Kentucky Distillers’ Association (KDA). The Epicenter includes its own licensed distillery, Grease Monkey Distillery; an education arm called Moonshine University; and a bottling line, Challenge Bottling. Moonshine University offers a variety of courses in distilling, from a one-day bourbon workshop to a five-day distiller course taught by some of the best distillers in the industry. In 2015, the Epicenter instructed 400 students from all over the world. The five-day course even qualifies for 5.5 business management credit hours through Louisville’s Jefferson Community and Technical College. Often distillers will begin their companies by producing clear liquors that don’t require aging — vodka, gin and white whiskey, often called moonshine. Kentucky Peerless Distilling Company is a rebooted heritage brand. The Louisville-based distiller filled its first bourbon barrel in March 2015, but the company’s moonshine brand, Lucky Moonshine, is already going gangbusters in the popular flavored-moonshine market. 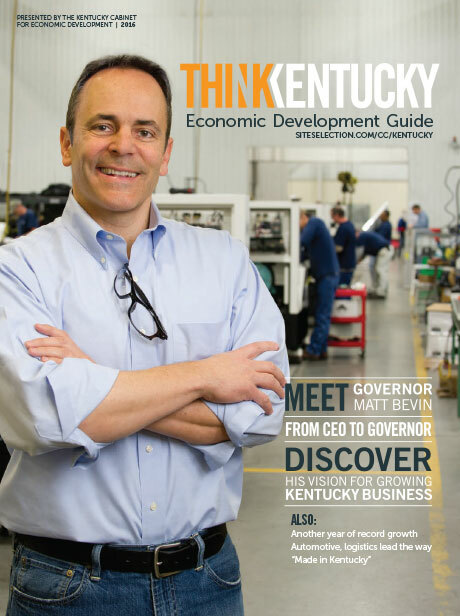 In November 2015, Pond River Enterprises announced plans to open a distillery in an old Muhlenberg County school building along the Kentucky Bourbon Trail Craft Tour. The company is investing $1.3 million in renovations and equipment, and will create 31 new jobs in the western Kentucky community. Pond River intends to begin distilling in late 2016, and will produce moonshine initially, before expanding into the bourbon market. Alltech broke ground last summer on the Dueling Barrels Brewing & Distilling Co., a new $13-million distillery in Pikeville. The facility is expected to open in the spring of 2017, and will feature a visitors’ center celebrating Appalachian history and the role of moonshine in that history. The operation represents Alltech’s fifth brewing or distilling facility in Kentucky. In April 2015, Beam Suntory announced it will relocate production of its melon-flavored MIDORI brand liqueur to its Frankfort facility. It anticipates producing more than 200,000 cases of the spirit per year. The company also announced it will invest $3 million in the facility. Beam Suntory, the world’s third-largest premium spirits company, operates six facilities in Kentucky with about 900 employees. Kentucky’s wine industry is finding new palates in-state and abroad. In November 2015, wineries from Burkesville, Frankfort and Paducah took top honors at the Kentucky Commonwealth Commercial Wine Competition. Up the Creek Winery of Burkesville snagged the Commissioner’s Cup for Best Boutique Wine for its 2013 Gold Rush wine. Prodigy Vineyards and Winery of Frankfort won Best Dry Red Wine for its 2009 Chambourcin, and Purple Toad Winery of Paducah took the prize for Best Sweet/Dessert Style/Fruit Wine for its Allen’s Blueberry wine. Wine production in Kentucky is nothing new. French winemaker Jean-Jacque Dufour established the first commercial winery in the US in 1789 in Jessamine County. The state ranked as a leading grape and wine producer throughout the 19th century, up until the Prohibition era. Today, the state’s 70 wineries grow more than 500 acres of grapes. While distillation and spirits make up a substantial part of the state’s adult-beverage industry, wine enthusiasts recognize the increasing role of Kentucky’s newest generation of vintners. Producing 95 percent of the world’s supply of bourbon, the Kentucky bourbon industry contributes $3 billion to the state’s economy, contributing more than 15,000 jobs. The smooth brown liquor — neat, on the rocks or as the basis of a classic cocktail — is experiencing a renaissance on a global level, and Kentucky distilleries are answering the call for more production with even more investment. Bourbon maker Four Roses is building a new 60,000-sq.-ft. bottling facility in Bullitt County, an $8-million investment that will create up to 30 new jobs. 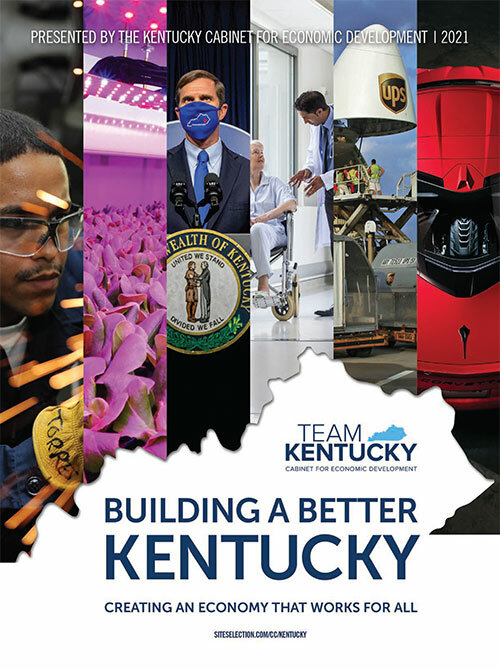 The company also announced a $55-million package of expansions, which includes $34 million for a still and fermenting equipment at the Four Roses distillery in Lawrenceburg and $21 million for new warehouses near Bardstown. The second still will double the company’s bourbon production capacity. Distilling giant Brown-Forman is investing more than $30 million in a new Old Forester Distillery and bourbon experience center in downtown Louisville. The company is renovating an existing building on Whiskey Row. The new distillery will be able to produce 100,000 cases of bourbon annually, and will be the home site of the Old Forester brand. Owensboro is now home to the newly renamed O.Z. Tyler Distillery, formerly Old Charles Medley Distillery. In 2014, TerrePURE Kentucky Distillers announced plans to invest $25 million in the purchase, repair and renovation of the 28-acre Old Charles Medley site and facilities.